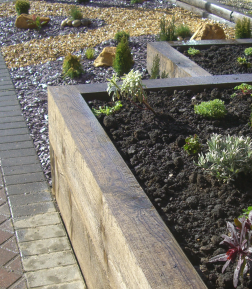 Majestic Gardens UK Ltd, Leeds - Landscape gardening including Decking, Fencing, Patios, Turfing, Water Features, Planting, Design Work and more. The Majestic Garden team only ever works on one project at a time to ensure each client receives the undivided attention of our experienced tradesmen, keeping you informed throughout and working with consideration and respect for you, your property and neighbours. Projects of any size are undertaken. We would always arrange a free site visit to meet the client and conduct a site survey to view prospective works, offering any advice where required on the project. We offer free written no obligation quotes, with a full breakdown of costs so both the project and the process are easily understandable. We offer a fixed price for the works. Where we can we do not require a deposit or money up front, but are paid in full on completion of the work. Once a project is approved the client is given a starting date. The client is kept up to date through the course of the project and we are happy to work with clients should plans change or any additional work is required. With every project left clean and tidy, we offer a 12 month guarantee, care instructions on how to care for the work completed or a maintenance contract should it be needed. We are more than happy for clients to contact us after a project is completed for further free advice and help.